If you haven't noticed, over the last two years the mini-bag, or small sized handbags, have been everywhere. It seems like every designer is making a small, compact version of your beloved handbag. Downsizing to a smaller handbag has always been a problem for me, and it's not really because I carry that much 'stuff' in my bag. The biggest reason I couldn't downsize to a mini or small handbag was actually because of my glasses. Wearing glasses on a daily basis means carrying up to three glasses cases; one for my regular glasses, one for my sunglasses, and one for my reading glasses. Ok, I admit I try to get back to just carrying two pairs of glasses with me on a daily basis, but trying to fit even those cases into a small handbag is next to impossible. 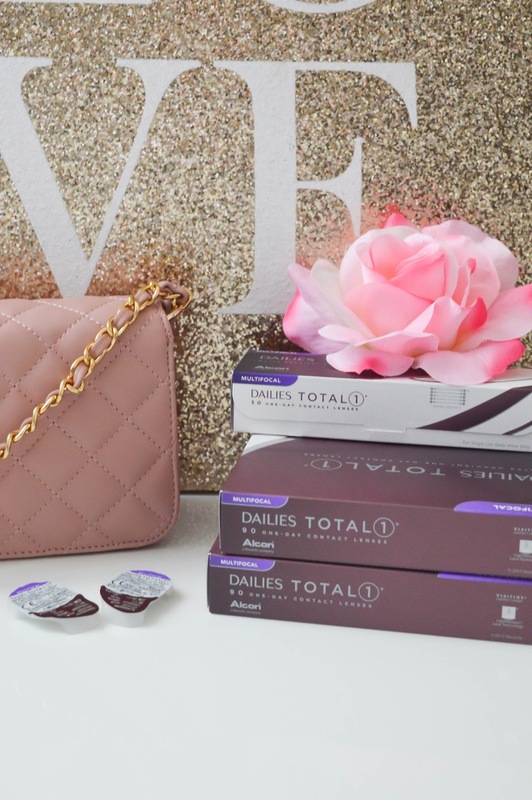 If you remember a few weeks ago, I shared a contact lens has allowed me to lose my readers! The Alcon Dailies Total1 multifocal contact lenses let me see as if I was wearing regular glasses, and reading glasses. This innovative contact lens works with your eye's pupil to adjust your vision based on your eye's natural function. It even has a Precision Profile™ Design, allowing you to see objects at a distance, up close and in-between. 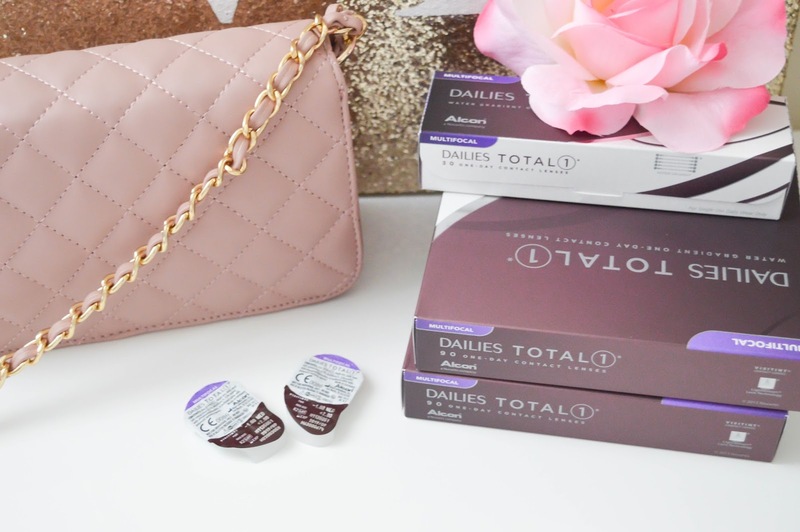 DailiesTotal1 multifocal contact lenses have finally allowed me to carry the mini bag I have always wanted to. No more big bulky glasses cases for me, no more switching my glasses through the day, no more worrying about if I packed all my many pairs of glasses! 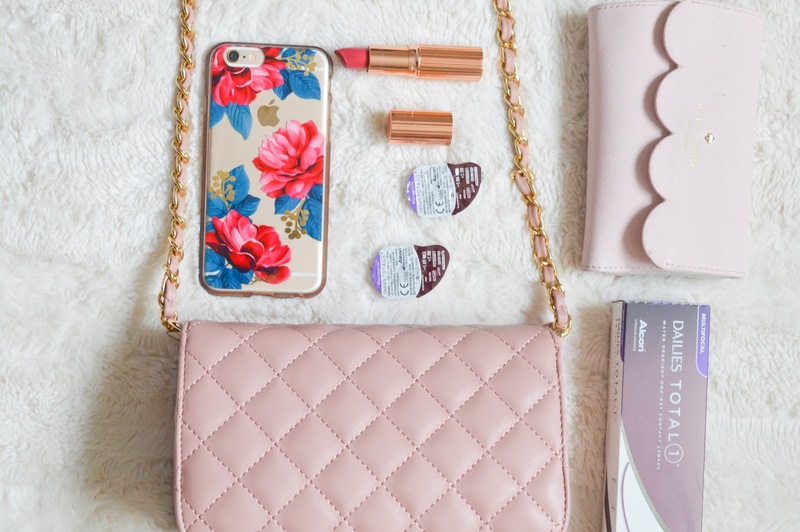 Now in my bag, I carry my fave Kate Spade wallet, my phone, a lipstick for touch-ups, and a pair of Dailies Total1 lenses. 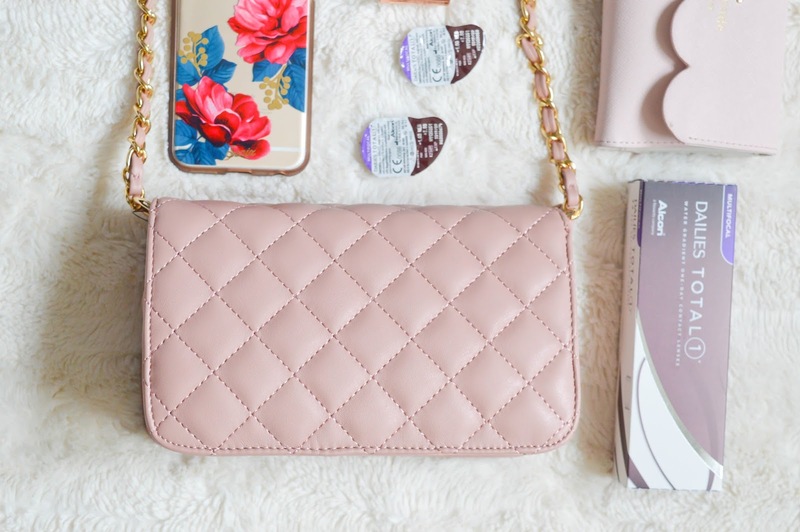 You can see by the pictures how small these contact lenses are, and how easily they can fit into my new fave pink mini-bag. If you wear glasses like I did, you have to talk to your eye care professional about Alcon Dailies Total1 multifocal contact lenses. They will definitely change the way you think about your vision, and your glasses.